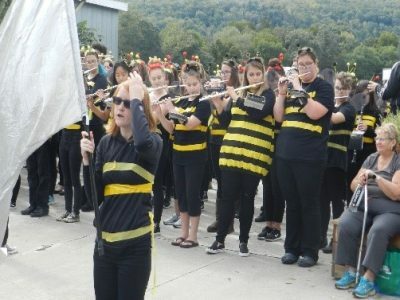 Narrowsburg Honey Bee Fest 2018 was in its 4th year and to me appeared to be one of the best community celebrations of Honeybees in the northeast US. 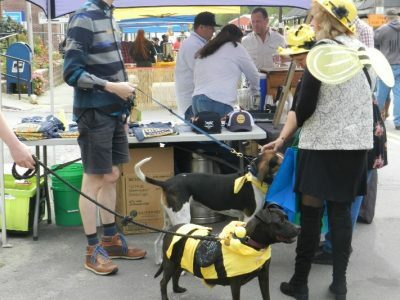 Attendees were all buzzing around in their favorite bee garb, golden antennae, with bee dogs, even a marching bee band! 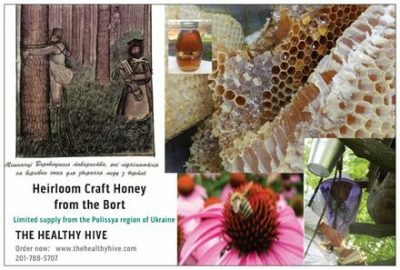 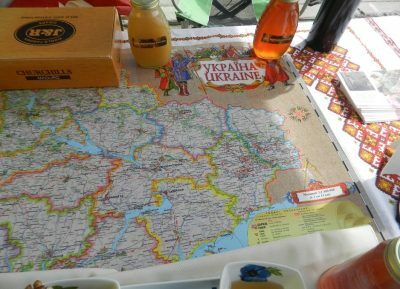 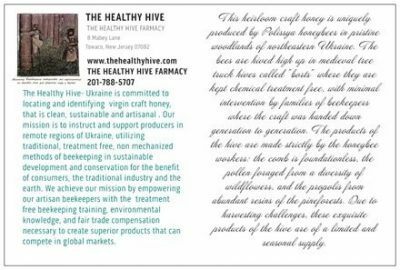 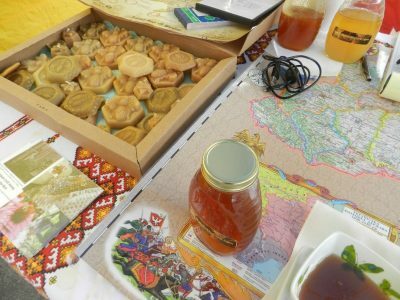 Bee art, beeswax soaps, honey beers, honey tasting, local honey, Hawaiian Honey, even Ukrainian Honey from the Bort of Polissya!!! 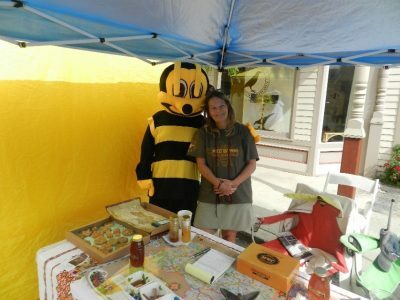 Yes, that was me and Dan on Main Street and my first time selling honey in my old stomping grounds in Narrowsburg NY where I grew up riding horses off of Peggy Runway and swimming at the Uke lake. 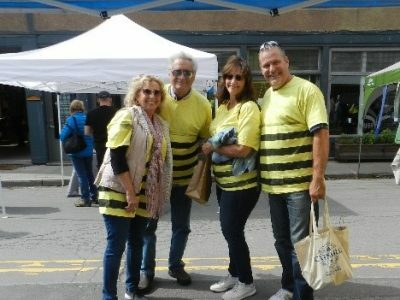 How the town has changed!! 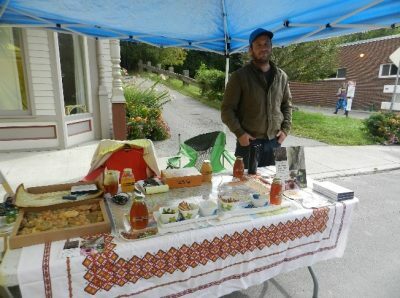 For the good of course, with its Chi Hive yoga/tai chi studio, Narrowsburg Proper with its yummy delicacies like Porcini mushrooms and the bookstore with its best picks of best authors to savor. It also happened to be our anniversary so we got a table on the veranda at The Heron Café with great views of the Delaware and tasty Avocado toast. 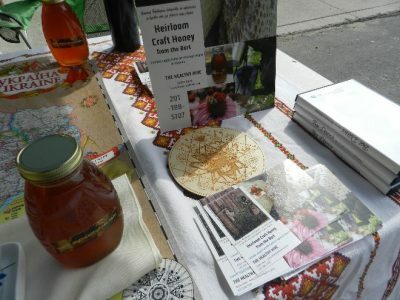 Great atmosphere, friendly people and The Hibiscus Honey Cocktail was just right for a toast to celebrate a day of Honeybees with the ones you love.